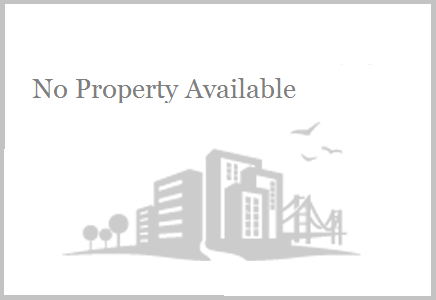 Get complete details of property specifications & related amenities. It's a residential land available for sale in rajapur,Ratnagiri.It is located at prime location having a well construction to ready to move with 100% verified builders and developers.Find 1 BHK Apartments in Rajapur, 1 BHK Flats for Sale in Rajapur, 1 BHK Flats in Rajapur on gruhshodh, post your 1 BHK Apartments/Flats ads to get info. Rajapur is a city and a municipal council in Ratnagiri district in the Indian state of Maharashtras. It is 385 kms away from Mumbai city. Plots for sale in konkan, At bhoo (Kotapur) ... Plot Area : 3012 Sq.Ft. @ ₹499 / Sq.Ft. Description : It's a residential land available for sale in rajapur,Ratnagiri.It is located at prime location having a well const... Description : Independent house is available for sell. Abbasaheb Marathe Arts & New Commerce Science College with Affiliated to University of Mumbai. It is one of the important higher educational institute, which is running by Rayat Shikshan Sanstha, Satara. Abbasaheb Marathe Arts and New Commerce and Science College is established in 1994 yr. The college was initially run in the building of Navajeevan High-School, Rajapur and then shifted in its own building in 8th January, 2001. This college was first started in Navajeevan High school since 1994 year but now it is working in Vikhare Gothane which is the part of Rajapur Tahasil. Navajeevan High school is one of the well known high school and junior college in the Rajapur Tahasil. Rajapur High School is an old multi purpose High School and is situated in the heart of the town. It extends education in various subjects like drawing, carpentry, music, tailoring, commerce, typing, agriculture. Dadasaheb Mawlankar, first Speaker of Lok Sabha, Indian Parliament, was an alumnus of Rajapur High School. Two institutions which are more than 100 years old are Rajapur Nagar Vachanalaya that is library and Lakshmi keshav Aaushadhalaya called as Ayurvedic pharmaceutical. Rajapur is a hub for business activity for the surrounding with many small villages as khedi. it is famous for mangoes called Alphanso or locally called "Hapus". At a distance of 2 kilometre from Rajapur, a famous holy place "Rajapurchi Ganga" i.e. Holy Ganges of Rajapur is wonder of natures. It is situated at a height 25 metres above height of village. This place is usually dry, but however, all of a sudden water starts flowing in ponds. Small water tanks are built for storing water and facilitating bathing. this water temperature in these tanks is different from each other, though those are at distance of one metre from each other. There is a local lore how & why Holy Ganga appeared at this place. Scientifically it could be a long siphon from Sahyadri mountain range. Millions of people visit the Ganges for bathing. One of the biggest water tank, called as 'Kashikund' delivers clean water like glass and people believe that bathing in this water will relieve them of sins. At one kilometre distance from Jawahar Chowk, there is Hot Spring. This place is called as "Unhala". Hot water is rich with Sulphur and famous for curing skin diseases also. Dhoot Papeshwar Temple: Very old Lord Shiva Temple is situated at 1.5 kilometre Rajapur. There is a picturesque waterfall close to Dhootpapeshwar Mahakali Temple: Goddess Mahakali's temple is situated at Adiware Village, It is very old temple and is close to Rajapur that can be reached by car. Madban: At a distance of 38 km from Rajapur, and possessed of a good beach. Also there is a Bhagvati temple which is famous in Panchkroshi. Rajapur Shipyards Pvt. Ltd  is coming up on the seafront about 25 km from Rajapur. Yeshwantgad, an island fortification. Vatul Village close to Mumbai Goa Highway. Swaymbhu Mahadev & Adhisthi Devi temples, Wandertek Sunset point, Vatul Dam Kankaditya Sun Temple: At a distance of approximately 30 km towards Ratnagiri on the Coastal Highway is one of the unique Sun Temples of India with a huge mandap supported only on the sides Harihareshwar Temple - Pangare Budruk Village: 10 km from Rajapur city. Adjoining to Swami Shivanand (Tembe maharaj) Ashram. . Description :- Get details of all Residential Commercial property for Sale in Rajapur. Latest Rajapur property rates 2019 year & listings of multistorey apartments office Space, showrooms, Commercial shops for sale in Rajapur city. Best Price Residential 1, 2, 3 BHK Flats, Row Bungalows, Penthouse, Row House in Rajapur city. RERA Projects in Rajapur : Find Maha RERA approved projects for sale in Rajapur district. Commercial Property, Konkan Properties - Non Agriculture Lands and Clear Title N A Plots, Open Plots in Rajapur, Holiday Resorts, Farm House Second Homes - Weekend Homes in Rajapur. Search New upcoming residential projects in Rajapur real estate market, Vastu /gruha parkalp, housing schemes within your budget at Gruhkhoj.com. It is a base and medium for prospective buyers across the globe who wishes to search, Find Property, Commercial Space, Dukan Gala, big showrooms, multi-story apartment buildings, ownership flats, township projects, Luxurious Villas- row bungalows / independent houses for sale in Rajapur India. Fully Furnished, Semi Furnished 1 HK,1rk to 4 BHK flats in Rajapur, low budget 2 bhk flats in Pune / 3 BHK Penthouse in Pune. Best Deals starts from Rs. 15 - 30 Lakhs onwards for flats.Search details of Builders expo / Credai Property Exhibition in Rajapur - all Prices Trends and Property News in Rajapur. Buy 2 BHK Ready to Move in multistorey apartments in Rajapur from ? Verified listings ? Real photos ? Maps & much more on Gruhkhoj. Find Triple Bedroom / 3 BHK flats in Rajapur within best area and prime locations nearby School, Colleges, Hospitals, Market, Shopping Mall. Villa/Independent House in Rajapur city with parking, gate, garden etc.